As the UK’s leading port business, owning and operating 23 ports and handling a quarter of the country’s seabourne trade, Associated British Ports (ABP) has the experience and expertise to meet the needs of any company wishing to transport goods into, out of or around the UK. Committed to working closely with its customers, ABP is continually investing to provide modern and innovative facilities and services. Located on the north side of the Bristol Channel, ABP’s Port of Cardiff has recently seen the benefits of this investment programme. Whilst the port is equipped to handle a wide range of cargoes including steel, forest products, coal, grain, aggregates, containers and petroleum, it has a market-leading reputation as a major centre for the handling of chilled and frozen products. This reputation has been further-enhanced recently following the completion of a major investment in extending the port’s cold and chill store facility. The extended chill store provides an additional 2,800 pallet spaces for a range of chilled products including drummed fruit juice and fresh produce, and features two new cold store chambers fitted out with drive-in racking configured to handle loads on 1200 mm x 1200 mm pallets. 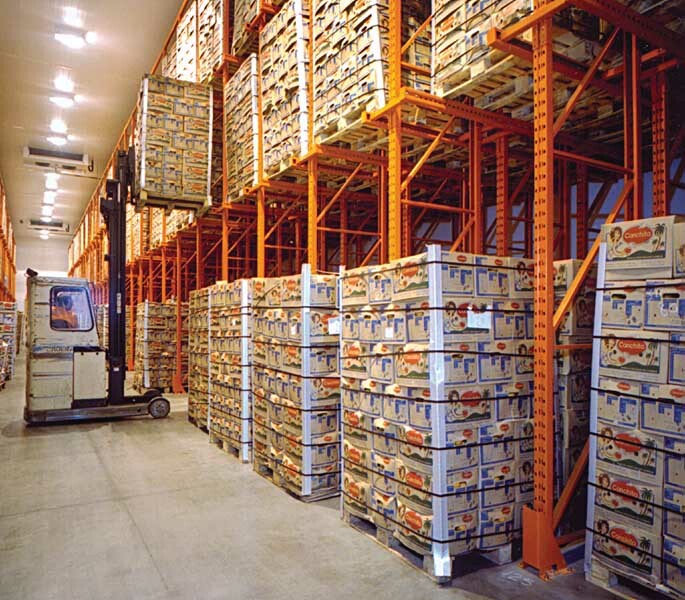 In one chamber there are two blocks of racking rising to 8.7 m, with each block having pallet rails at 3.6 m and 6.2 m.
The storage system has been provided by Redirack with a view to ensuring that this arrangement, designed for loads 1160 mm high, allows ABP to store three pallets in the bottom location and two pallets at each beam level. 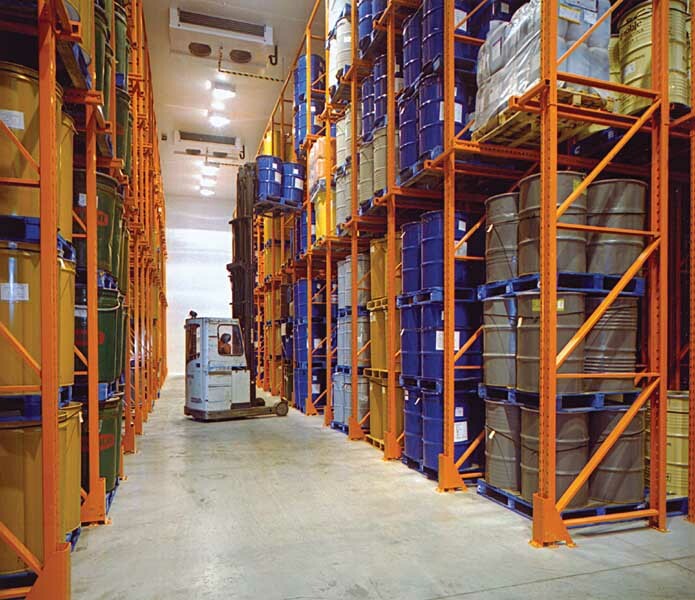 The racking can store up to six pallets deep in one block and five pallets deep in the other. 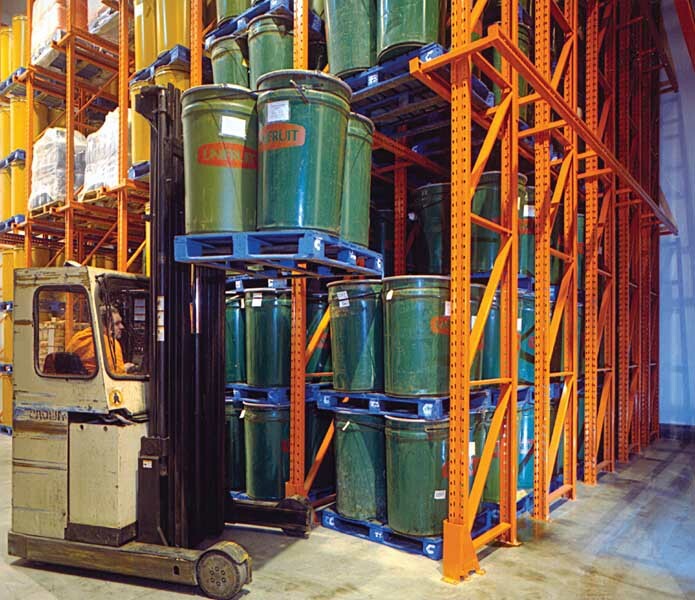 The added height in the ground floor locations has the advantage of making it easy for the forklift trucks to enter and leave the racking system. In a second cold store chamber there are two smaller blocks of drive-in racking, configured for loads 1060 mm high. 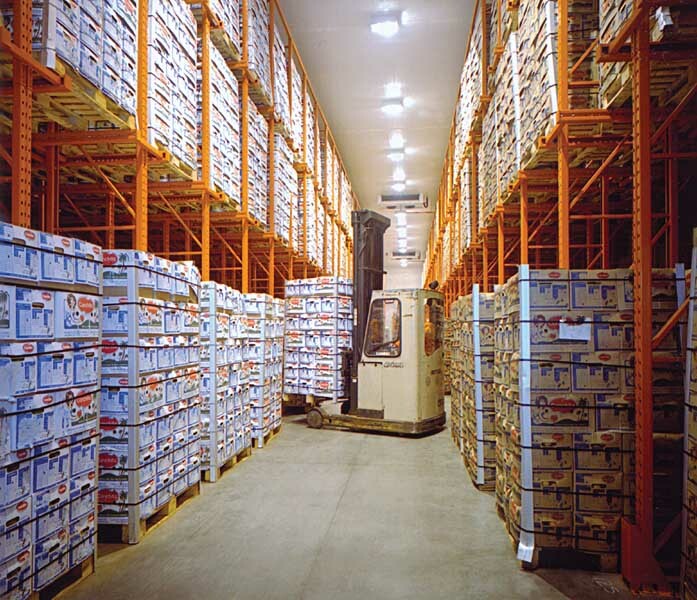 Again the bottom locations can store three pallets, with two pallets being stored at each beam level. 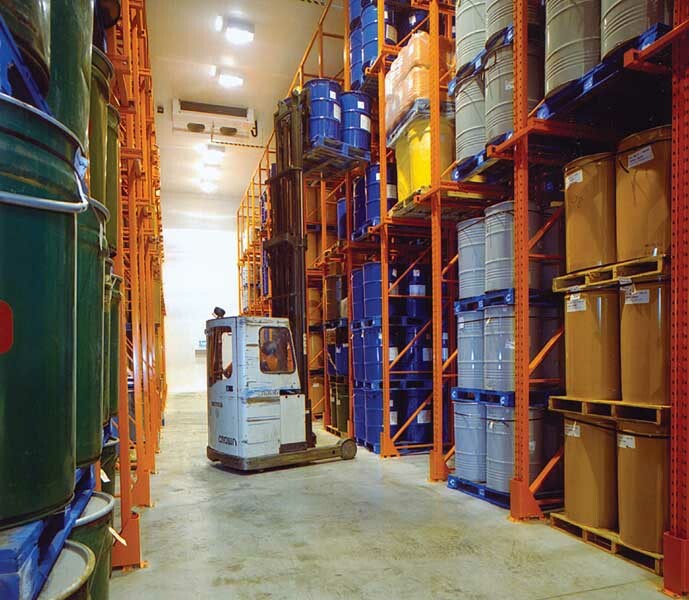 In this chamber both blocks can store up to three pallets deep at each level. 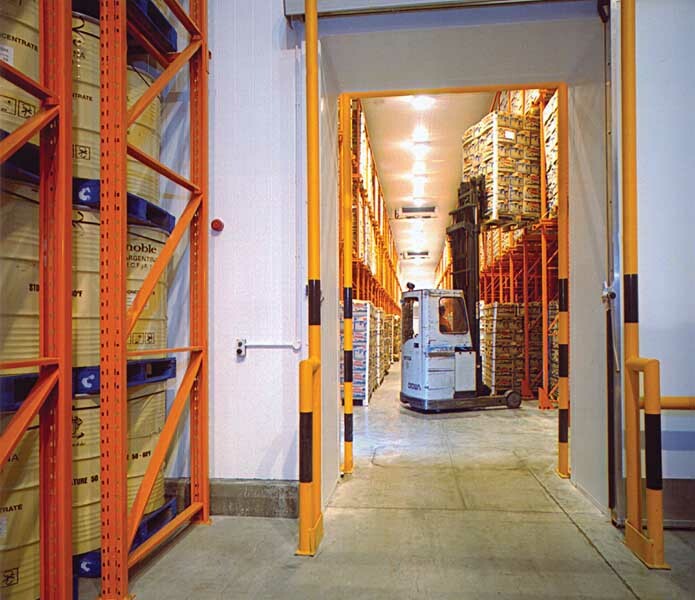 Throughout the storage system the front uprights are protected from accidental damage by column protectors. A generous 1500mm bay entry helps minimise damage by making truck entry easy. 100mm kerbs at the back of each block help ensure that pallets are placed accurately and don’t overhang the support rails at the rear of the store.